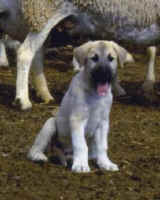 Anatolian Shepherd Dogs are regarded as flock guardians of the mountain molossian-type by the FCI. Large, rugged and impressive, they possess great endurance and agility. These dogs are tall and powerful, yet not massive in build. This magnificent ancient working dog presents an impression of functional utility without exaggerated features. Large size is important, but correct breed type, soundness of movement, overall balance with correct temperament should be given precedence so as to preserve working ability. trained older dogs may be available. Have you seen it? Check out our Amazon Store! ASDI will have a 2019 Calendar!! See how much our Calendars have raised for rescue. See sample articles from our Newsletter, The Choban Chatter here! Great for new puppy owners. Do you need livestock guardian signs? Cheetah conservation at our sponsorship page! of Anatolians in Cheetah conservation! OPPOSES Mandatory Spay and Neuter. in genepools of rare breed dogs. Good intentions, without without accountability, hurts our pets. 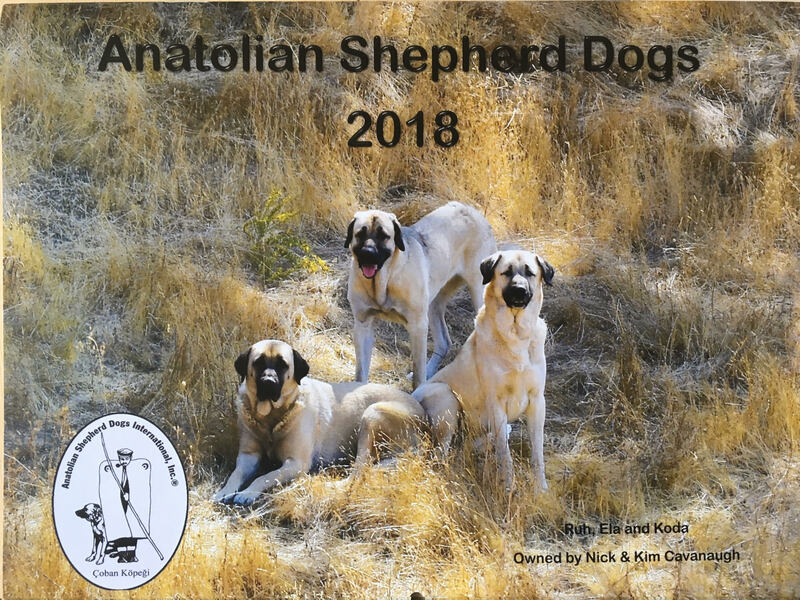 ASDI, Inc., was founded in 1991 with the goal of preserving the Anatolian Shepherd Dog's working heritage and promoting sound breeding practices. Many people who are involved with the Anatolian were attracted by the breed's intelligence, working instincts, and temperament. While a dog with a sound structure of an identifiable breedtype is desired, selection of breeding stock on the basis of conformation titles alone is not. In fact, while some Anatolian Shepherd fanciers do enjoy showing their dogs (and a dog titled in both conformation and obedience is considered best), most Anatolians are used either for their original purpose as livestock guardians, or as family companions. ASDI, Inc., is known for its commitment to the education of members and others about the Anatolian Shepherd, attention to health issues , the quality of our newsletter, the Choban Chatter, and in working to better understand the Anatolian Shepherd's working behavior and to ensure successful performance of our dogs in their area of expertise. ASDI, Inc. is affiliated with the United Kennel Club, as their emphasis on the "total dog" parallels the emphasis on soundness, working ability, and intelligence which are the tenets upon which ASDI is founded. ASDI has generally felt that over-popularization of the breed and recognition by the AKC is not in the best interests of the breed. ASDI recognizes all color varieties of Anatolians, as well as imports, and seeks to preserve a strong genetic base for the future. The club and its members are dedicated to preserving the mental stability, soundness, and working ability of this majestic and noble animal. If you are Renewing, see the page above for the renewal form. The education of Anatolian owners and prospective owners. Members agree to abide by the standards of the Code in order to join. ASDI in its affiliation with UKC pays an annual fee to UKC in order to cover the expense of additional paperwork required in ensuring that health certification is provided with all registrations. This requirement goes toward assuring that only dogs with at least a minimum standard health requirements are able to become breeding stock. Your membership counts as a voice in the support of this registration requirement. Your membership and other club activity fees help to ensure that this registration fee can be met each year. If your goal is to achieve high standards of health in the breed, then do consider supporting ASDI. toward the goal of breeding Healthy Dogs! 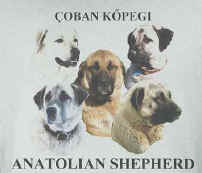 Interested in supporting Anatolian Rescue? You can send a donation to the Anatolian Rescue effort when you join the ASDI. Let us know if you have other things that you would like to contribute (time, transportation, fostering, etc). Your membership to the ASDI supports all these things and more. Visit the facebook page of our long time supporter. Copyright notice: This information is ©copyright by ASDI, Inc. of the above address, and the authors. All rights reserved. No part of this document may be reproduced without permission in writing from the copyright holders. Logo and name are registered trademarks of Anatolian Shepherd Dogs International, Inc.
Anatolian Shepherd Dogs International, Inc..